So my husband took up a hobby, errr, obsession this past year. He became a (sub)urban farmer. He’s actually always been a farmer at heart (having grown up on a farm) but this year he took it to the next level and volunteered to take care of some chicks temporarily while they were old enough to go to a friend’s flock. Well, temporarily became permanently as he cared for his chickens. Their names were “Toasted Marshmallow” and “Salt and Pepper” when we got them, but I re-named them Red and Crazy Eyes (ala Orange is the New Black). 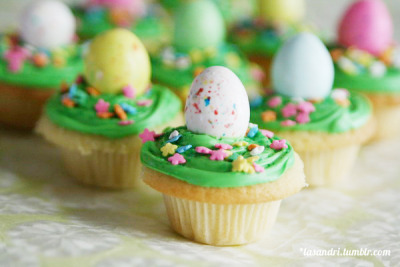 I’m not terribly fond of chickens in real form (although they’re quite the egg-layers), but I am in edible dough form. 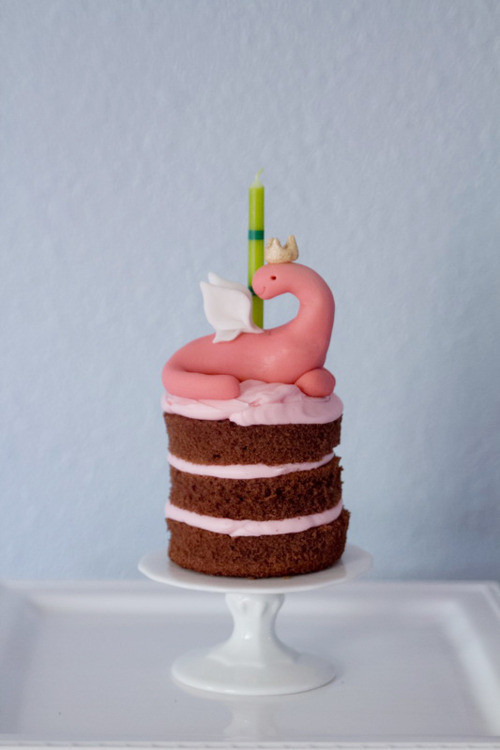 So… a Chicken Cake! 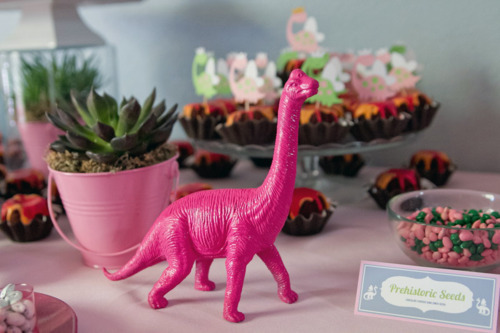 Often, there seems to be a dichotomy in parties lately — either you go whole-Pinterest and do up an elaborate party at home or in a venue (which I’m all for, being that it allows for maximum creativity) or you have your party the local bounce house place where it’s pizza and cake and the theme is always “Birthday Party.” Well, my amazingly creative friends have shown me the middle way, in between I-must-host-at-home-and-clean-before-and-after-and-transform-this-house-into-my-theme and I-must-make-sure-to-bring-socks. The Middle Party Way, as I call it, involves a theme but only a certain amount of control of how the venue looks. My friends have done this with a local party places like bounce house places (Star Wars and Monster themes), Lego stores (Lego themed, naturally), etc. I did it this time around with a sports center. My two oldest kiddos have summer birthdays and they each have an idea of their own themes. 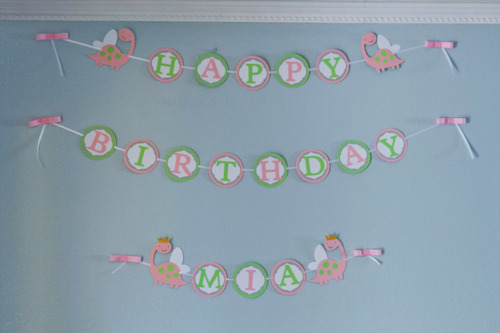 This year, we decided to do a double birthday for both of them together… the problem was that they both wanted their own themes… the elder kiddo wanted a puppies themed birthday while the younger one wanted dolphins. It took a bit of thinking and some research, but we finally came up with this beach-inspired, Puppy-looks-at-Dolphin theme. As it turned out, we had a family emergency out of the country, so I had a week to pull this together and so I limited my energies to cake and favors and cut some corners (like the cake!). Like I said, pretty simple. I just got a fashion fabric to put under the cake and a dollar-store net (in the party section) to kind of give it an ocean-y feel. On the right and left of the cake, I had our themed-favors (detailed below) and cocktail umbrella topiaries. The cocktail umbrellas were in everything, including the cake and the decorations. In this way, they brought everything together (and were fun for the kids). Here is a detail shot of the topiary, which is just a styrofoam ball held up with a dowel in a pot filled with sand. The umbrellas were a little challenging to put in but that might have just been the white styrofoam I used (instead of the simpler green one). For favors, I offered tic tac toe games. I have often lamented the easily breakable plastic toys in favor bags at parties because they inevitably end up in the garbage. So I thought these would be good for people to keep, a small travel game that could be taken to a restaurant, or in the car. I sewed up these little drawstring bags with felt on one side and a turquoise chevron fabric in the back. My sewing machine does embroidery stitches, so I did a fancy x-stitch on felt to make up the playing board and used wooden round/star pegs for game pieces. 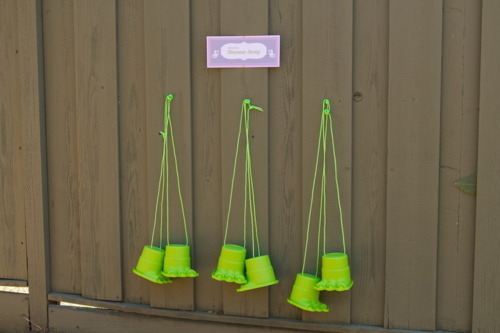 To display them, I put them in a round bucket facing up and then stuck an umbrella in each. The kids loved the umbrellas 🙂 And inside I also added a little square of Ghiradelli chocolate and a lollipop. We have quite a few friends with little babies, too, so for the babies, the favors were these washcloth dolphins. And on to the cake! My absolute most favorite part of the party stuff. I love the way this cake came out! I got the idea from another beach cake I had seen a while back. I majorly cheated with the cake — I ordered a plain blue cake from our local grocery store and decorated it myself 😉 The “wooden” fence around the cake were Pirouette wafers and the sand was made from crushed Nilla wafers. The letters were fondant and I made the dog and dolphin with edible molding dough. And then, of course, the umbrellas for fun! A detail of the dog. 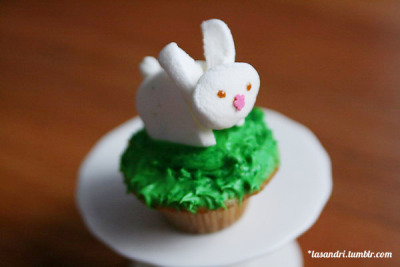 I used some edible modeling dough from Wilton. It held really well and the only added structural help I did was put a toothpick in the dog’s body to secure the head. I think the head would’ve stayed, regardless, but I didn’t want any mishaps. And here is the dolphin, which I absolutely loved. I had black and white doughs which mixed up beautifully for this steely gray color. 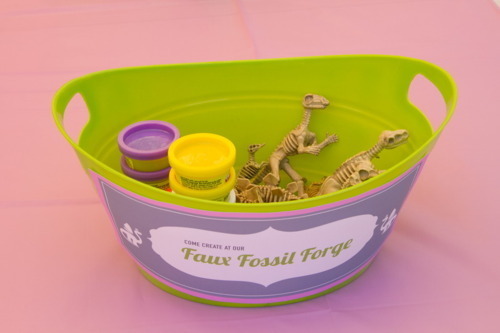 All in all, it was a fun party and the best part was that both the kiddos loved it. Good times, good times — and just a few days worth of effort. My kind of party. Madame M’s personal cake, which she requested be different from the other regular cupcakes. 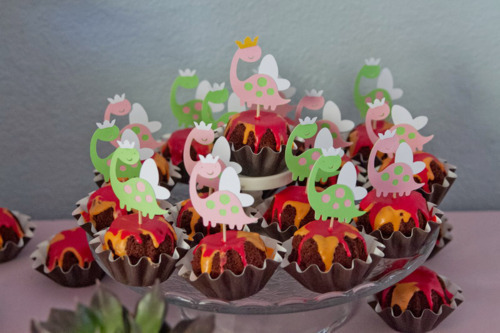 Fondant dinosaur with fairy wings on milk chocolate cake with pink strawberry frosting. The party was held outside, where we set up everything in pink and green. 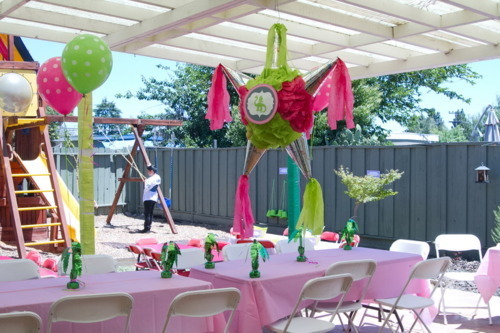 I got a store-bought pinata in the appropriate colors at a local Mexican food market and ripped their images off the front and put M’s Fairy Dinosaur logo on it. 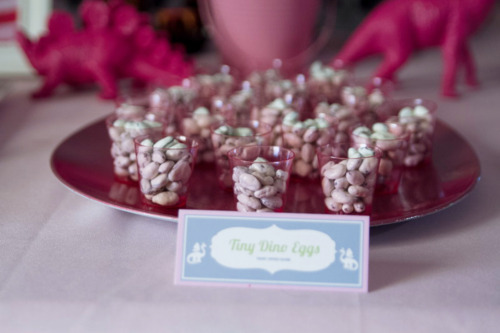 The table weights were a particularly good find at the dollar store… they’re supposed to be palm tree balloon weights for a luau party but they looked really prehistoric and had the added bonus of keeping the tablecloths from flying off the tables. 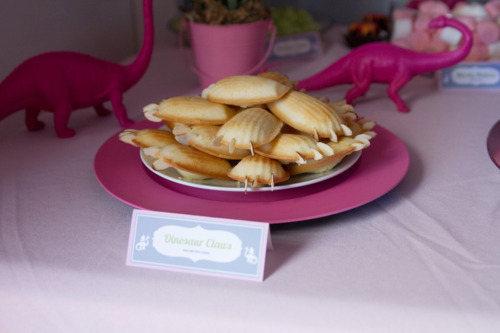 We also wanted to have balloon hats of long-necked dinosaurs. 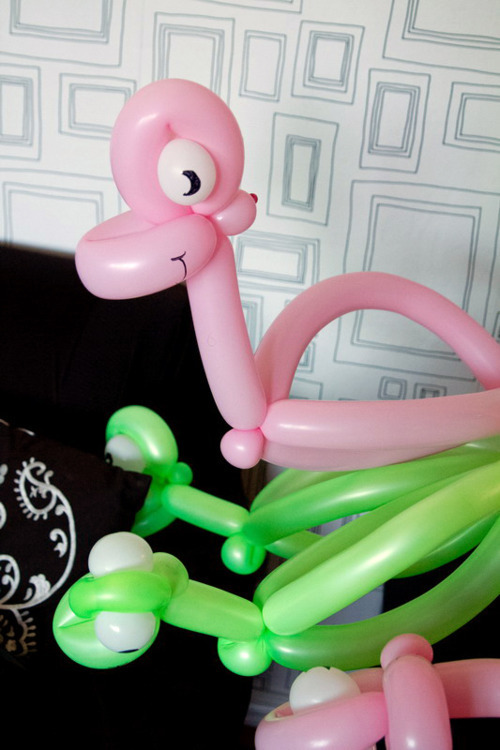 My mother has taken a couple of balloon twisting classes and with the help of youtube and other online stuff, we came up with this design. I wish the long tails were visible! 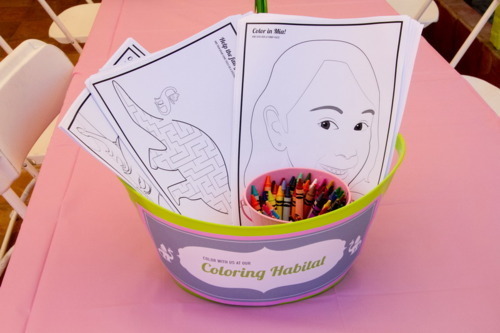 We also offered custom coloring pages, which are always a big hit. I drew them since I couldn’t find any out there. The first is just a Fairy Dinosaur scene to color; the second is a maze; and the third is a picture of the birthday girl herself to color in. I’m thinking about offering these custom face coloring pages on etsy, but haven’t decided yet. Ah and last but not least, the favors. 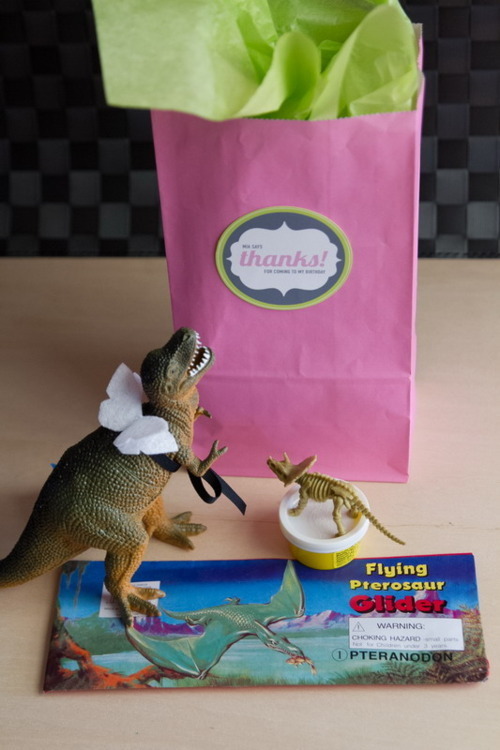 We had simple bags and tissue paper and inside each was a dinosaur with fairy wings attached (felt wings on ribbon tied around the dinosaur); a mini play doh and skeleton dino (for fossils at home) and a dinosaur glider (which was really super fun to fly). 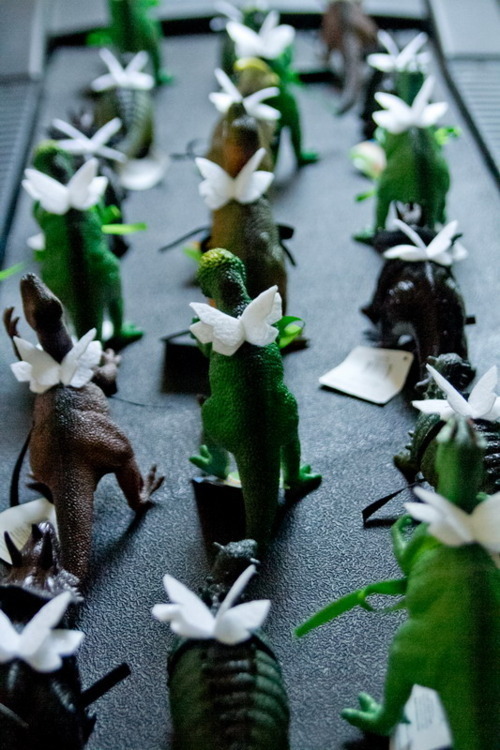 And here is kind of a funny shot of when I was making the dinosaur wings for the dinos. Here they are migrating up my treadmill, lol. I did do face paintings at the party but didn’t get any pictures. All in all I think it was a fun party 🙂 M really liked it and told me so. And I’ve had my party fix for the year! 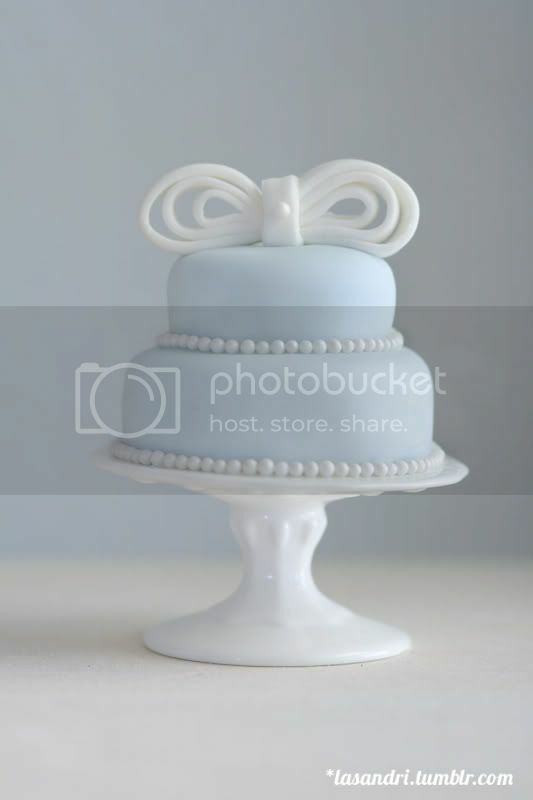 A two tiered “Wedding” Cake. It’s actually about 3 inches tall and was my first foray into covering a cake in fondant, which was actually a lot harder than I thought. The back looks a bit crooked but the front was quite nice.